Alta Trail – 4.5 mile difficult ridge trail offers spectacular views from the far Southwestern edge of the range. Bajada Trail – 2 mile difficult hike that can be accessed from Alta, or National for a more moderate loop. 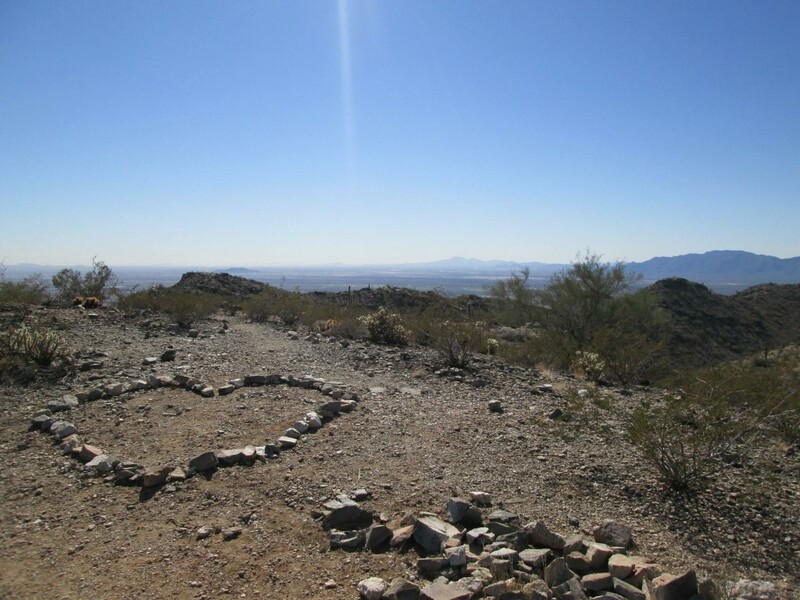 Beverly Canyon Trail – 1.5 miles of moderate elevation into the heart of South Mountain. The trail head is located off of a large parking area hidden between residential apartments and business complex at 46th street. Desert Classic Trail – 9 miles along the Southeast foothills with quick access from the Desert Foothills or Pima Canyon parking lots. More difficult trail sections can be added to this otherwise easy trail. Great for beginners, dogs, and children. Geronimo Trail – 1.6 mile ascending to the Buena Vista lookout for spectacular views, a difficult trail to challenge hikers. Holbert Trail – 2.5 miles the Holbert route takes hikers 800 feet up into the hills, beginning near the park entrance and reaching Telegraph Pass Road near Buena Vista viewpoint after 2.5 miles. Javelina Canyon Trail – 1.7 miles this is one of several routes that link with the National Trail. Javelina trail offers a more difficult hike than Beverly Canyon from the 46th street parking lot. Kiwanis Trail – 1 mile of short, easy path linking Telegraph Pass Road to anterior road close in the center of the park. Mormon Trail – 1.1 mile moderate route that climbs about 1,000 feet from the 24th street entrance to loop up with the National Trail at the edge of Hidden Valley. Pima Wash/Pima West Loop – 1.4 mile easy loop for beginners, the challenge is following the not-always-clearly marked trail. Ranger Loop – 3 mile easy to moderate loop, near the Kiwanis trail. 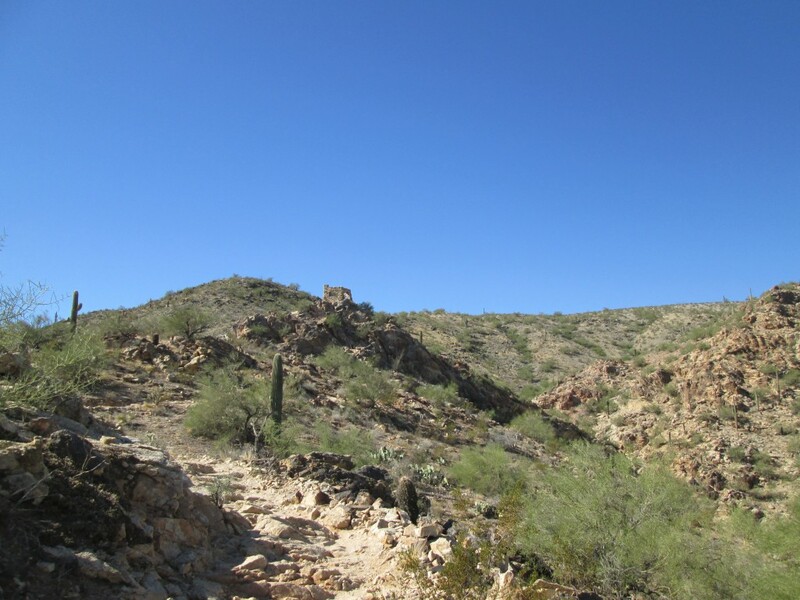 Ridgeline Trail – .8 mile accessed from Beverly Canyon or Javelina Canyon trails, often combined as 3.5 mile moderate loop. 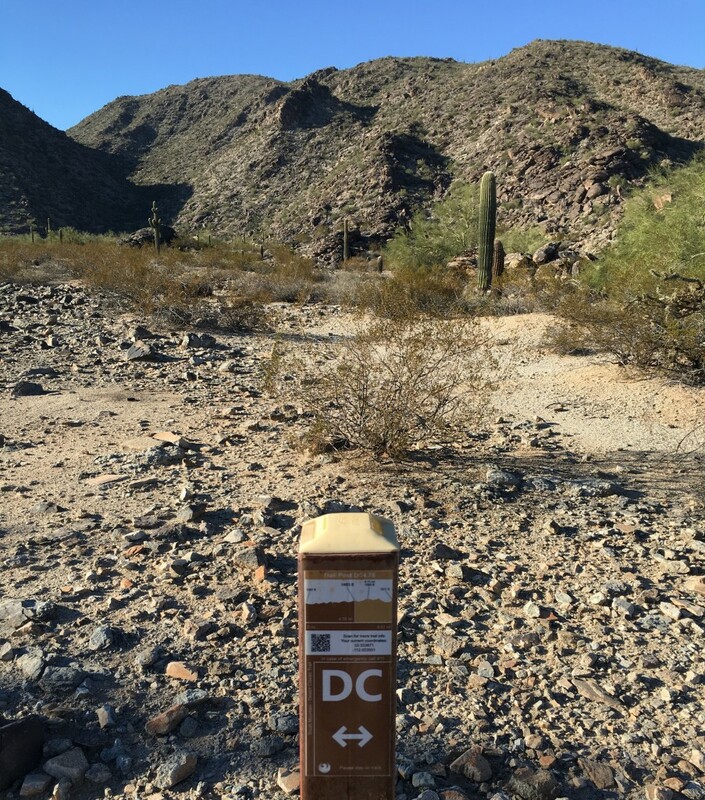 Telegraph Pass Trail – 1.5 miles starts from the paved trail head at Desert Foothils, then forks into Desert Classic or the more difficult Telegraph Pass. A steep climb along a narrow trail, use caution with children and small dogs. 60 miles of trails? Wow that’s a lot! Thanks for listing each trail and giving it a brief description. We enjoy hiking so we’ll keep this in mind if we ever go to Phoenix! It is a massive park! One of my favorite hiking spots for “winter” hiking, when the desert is nice and cool. So great that all these trails are FREE!! I like how the distances are quite manageable, I can see why you decided to continue your hiking after only one trail. The entire park is FREE! 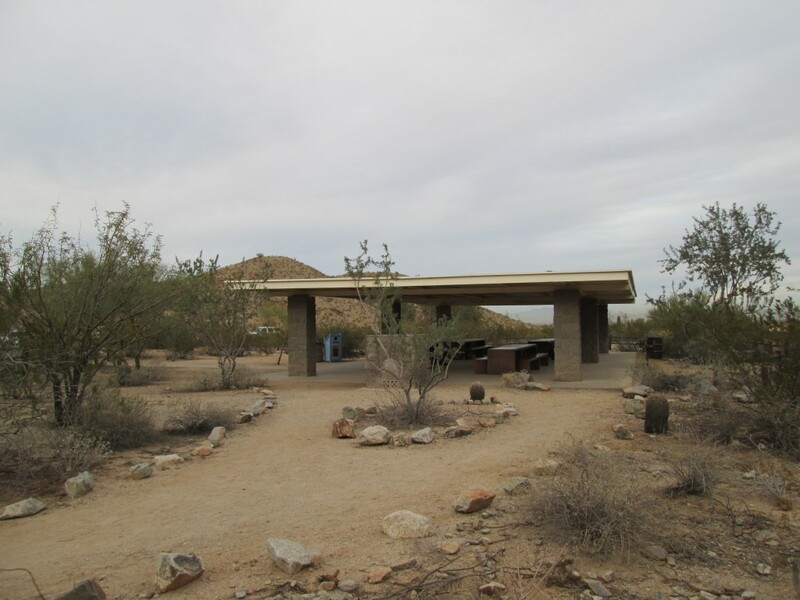 There are nice ramadas, picnic areas, and picture perfect ruins all maintained and available to everyone. Wow, how have I never heard of this park, its huge!!!! Will deginitely visit one day (hopefully sooner rather than later). Which is yoru favourite trail? Clearly didn’t spell check before posting, ha. There are so many great trails to choose from! Telegraph is probably my favorite, it is a tough workout with amazing views of downtown Phoenix to the North and stunning desert to the South. Jen there done that! I absolutely love the name !!! How did you think of it?? Thanks for giving me a list of the trails it’s exactly what I was looking for! My Sister and I were talking about all the places that I have traveled and explored, then we both hit on the name. Glad you enjoyed the post! I have fond memories of South Mountain Park from when I lived in AZ. So nice there are so many great trails that are so convenient! I loved growing up near this park! Our last home in AZ was 5 minutes from a trailhead at South Mountain. My favorite hiking trails! I looove hiking but get lost way too easily! Great job with this guide. Would love to visit Phoenix someday so that bit with the trail details will come in handy. It’s so nice that the sign posts have QR codes on them. It’s a great safety feature just in case folks get lost or something happens in an emergency. Yes! It is a huge park and can be quite dangerous in the summer heat. The QR codes and the trail signs are a great safety feature. Looks like a perfect spot for hiking! I haven’t visited Phoenix as yet, nor have I hiked previously. But since you’ve mentioned that they have trails for all fitness levels, I might give this a shot when I’m there. Thanks for sharing. 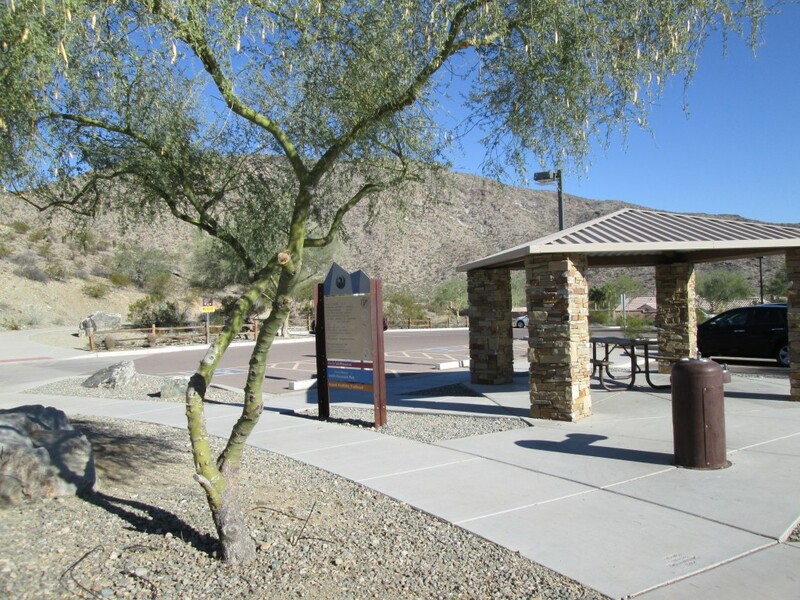 South Mountain Park is perfect for beginners. Pick an easy trail to walk and enjoy the spectacular desert views! There are plenty of moderate and advanced trails that you can add with experience. Holbert Trail was one of our favorites when we were still living in PHX. Easy to get to, easy to hike, wonderful views! There are so many great hiking trails. I love to try new trails and explore more of the parks! It looks like a great place to do hiking but I am imagining the scorching heat just by looking at the photos. Or maybe it is not that hot at all? Hope to visit there someday and hike it as well. It is scorching from May until September, it is better to explore other hiking trails with cooler temperatures in summer. October through April are perfect hiking days in the Arizona desert! I wish I was hiking there this weekend! I always love hearing more about lesser-known hiking locations, especially in the SW – my favorite region of the U.S. . I can’t believe that I’ve never heard of it with that massive of a size!! 20x bigger than Central Park?! Craziness! I also love that there’s such a variety of lengths of trails as well. Thanks for sharing a great new hiking location to add to the list! Hiking is such a great thing to do but I always look for tips from those who have done it before, prior to me choosing places to go. Your tips and hints are really useful. Looks like a great place to go. South mountain park looks so amazing and I love hiking. Def on my list if I ever make it to Phoenix. How long did you hike for and do you hike regularly? 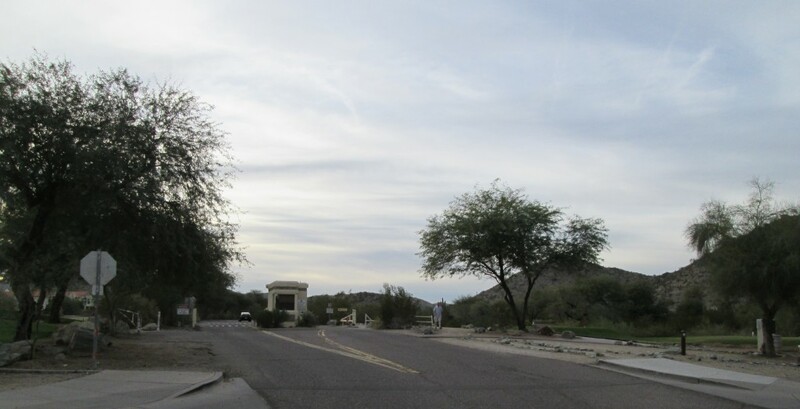 South Mountain is one of my favorite parks, when I lived in Phoenix I would go a few times a month (non-summer months). There are short hikes perfect for after work, or pack a lunch a hike all day. We hike every week, gotta have my mountain views! It must be nice to have so many trails nearby! I love hiking, but being a city person means it doesn’t happen terribly often. The best part, is this mountain preserve is located 10 minutes from downtown. It is at the South end of the city! Wow, Central Park is pretty big so to be 20x the size of that is huge! I also love hiking. It’s such a great way to connect with nature. Hiking is also one of my favorite activities! I come from Illinois, which is one of the flattest states in America! Did you know that hiking is the national sport of Korea too? I think you would love that! I like how you highlighted all the different trails. I would definitely pick the harder ones just for the great views! I’ve heard such great things about Phoenix, especially about the surroundings. I would love to do some hikes there one day, and oh my god, I just read your answer on someone elses comment, people who wear flipflops? My god haha. I absolutely love hiking. It’s great exercise and the view + scenery is always more than worth it. This seems really fun and I’d love to make it back out to Arizona for a road trip with lots of hiking! I love hiking, thanks for giving loads of information on all the different trails!! I must try to incorporate hiking and walking into my daily life more often. I’m moving to Canary Islands this year though, so I don’t have long to wait! I really want to see those huge cacti! I would love to go hiking in the valleys in Phoenix. What’s the temperature like during the day and night? 2 days ago it was 102 degrees. It is desert, so plan on it being warm to HOT during the day and cooler at night. Hiking is always a rewarding experience for me! Glad to see you had so much fun! It looks like a remote place but perfect for hiking. And I have to say that hiking is a passion of me. I’ve been hiking during my move abroad in Israel, and there are AMAZING places to go for hiking! I Love finding new one! I really like how much information you gathered together. It is saved for the time I will go for a trip around this area. Did you see a lot of wild life during your hike? Puerto Rico is full of wild life, and El Yunque is no exception. There are tons of birds, frogs, and lizards, especially on the less traveled trails. I will try to capture my photos and video of the little critters (all of them are harmless and pretty darn cute). I love hiking but usually we go in the woods or mountains! This looks like a fun and different way to hike, especially with some easier trails! We must have easy trails with the kid in tow! South Mountain has some great kid friendly hikes! There are plenty of places for picnics and benches to rest and enjoy the views. This is a very detailed and indept post! Would keep this in mind when heading and planning my trip to south mountain park! Love Phoenix, one of my favorite drives is through the Joshua Trees. We have not been able to travel much in the local area but lived near in Las Vegas. I have to say that I don’t know how you do it in the heat you have. Perhaps we can stop off on a visit back to Texas and try one of the short trails when we return home to Vegas. Super informative. I will be saving this post!! I really need to get to AZ to explore.. it looks so beautiful. I love hiking and have always been jealous of the hiking opportunities out west. We have trails here on the east coast but it’s just not the same. I went hiking in Big Sur last year and the trail took us up over the mountain to ocean views. It was just stunning – plus the weather was perfect and dry. Wow, this sounds adventurous. We love trekking/hiking and have done more than dozens of them in India during the rains. A day amidst nature is great fun. Your detailed post of trails would be handy for the ones interested in hiking. Wow, although I am not really for hiking, I think it would be so nice to walk one of the many trails. Lots to see and explore along the way, and I liked how you laid it out for each one with a quick description. There are some very easy trails, people were wearing flip flops!